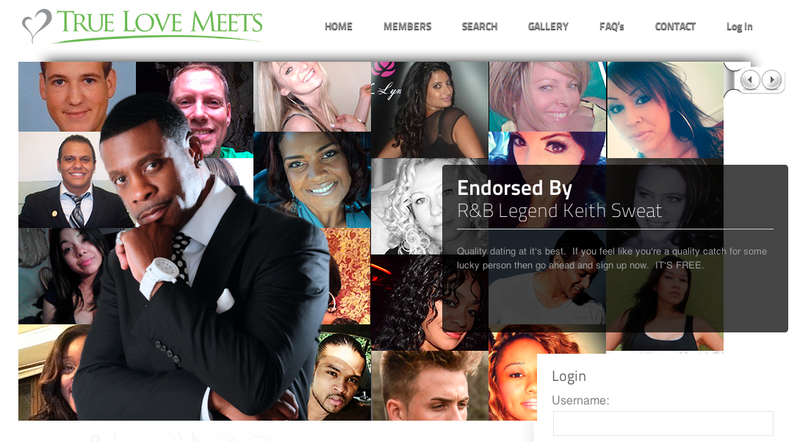 TrueLoveMeets.com is a new online dating site endorsed by R&B Legend Keith Sweat that in their words “Focuses on QUALITY rather than quantity”. When you visit the site they have some classic R&B music playing from artists like DruHill, K-Ci & Jo Jo, Boys II Men and Mr. Sweat himself. The site is designed for “Real members looking for real love.” So the music sets the mood and gets you thinking in the right frame of mind to start looking for love. The home page is looks great with a modern layout and some member profile picture to entice you. The lack of explicit advertising that a lot of sites have helps set the romantic mood, there is one add-on the home page but it seem to conveniently be for a book written by Keith Sweat which I’m assuming is about relationships since its called “Make It Last Forever, The Do’s and the Don’ts”. If you do actually want to sign up its a bit confusing to with nowhere on the home page to begin the sign up process. The only option they present on the home page is to login as if your currently a member. The only way I could find to sign up was attempting to login unsuccessfully then select the very tiny link at the bottom of the login page that says “Register Now”. Once I finally started the sign up process I was bit disappointed by its simplicity since they only ask you to choose a username, enter your email address and create a password. 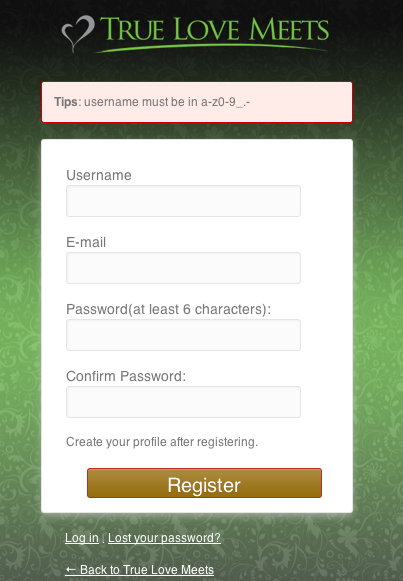 Once you’ve set-up your account you’ll need to manually create your profile page by answering all the “profile questions” under the question for smoker you can select “420 Friendly” So all you stoner wont need to fret about that awkward moment when you ask your date if they smoke marijuana and they give you a very judgmental “No”. After you’ve completed your profile page you want to start using the site right away, since all the sensual R&B has got to have you in the mood by now, but the site informs you that your profile is yet to be approved then they ask you to wait 72 hours! definitely a bit of a disappointment. This is ultimately a good thing since they really preach legitimacy on the site so any profile you see is completely real and not fictitious in the least. Become a platinum member by referring friends to the site and be invited to all the exclusive events the site hosts regularly all over the country for free! Having to wait 72 hours for my profile to be approved is definitely a big drawback for me, I understand the need to be selective since there trying to provide quality members but 72 hours is a bit ridiculous of a waiting period. The site is new so maybe once they get a bit more recognized they’ll hire some more staff to reduce the time it takes to get your profile approved. The site give off a vibe as if its try to be different from other online dating sites, but the site ultimately doesn’t provide or really even do anything different from other dating sites. I mean the music is different and unique but besides that its really not doing anything innovative, it should be branded as a dating website for people who like to listen to R&B Music. As I mentioned earlier in this review, there’s nowhere on the homepage to easily start the set-up process. If people have to spend more than a few minutes searching the site just to find where they need to sign up then their most likely going to get frustrated and give up. I was unable to find the Term and Conditions anywhere on the site so that does raise a bit of suspicion about its legitimacy. While my profile clearly stated that I’m was a man and I’m seeking a woman for some reason when the site displays new members and the most popular members it shows both female and male profiles, the most popular members they showed me were actually all male except one female profile. If you’re looking for love with an online dating site then TrueLoveMeets.com is a good site to use. The smooth and soulful R&B music will get anyone in the mode for loving, I mean that literally and not as a euphemism. With the endorsement of Keith Sweat and all the soulful R&B music the site plays, it does seem at first like a black dating site. That isn’t the case but the members on the site seem to be predominately African American. The site is completely free to use which is nice and make you much more inclined to try the site and you don’t like it or If it doesn’t work for you then you can very easily delete your account by sending the site and email and they will take care of the rest for you. If you’re looking for love and want to listen to some music that is reflective of your mood than TrueLoveMeets.com is a site that you should definitely check out.